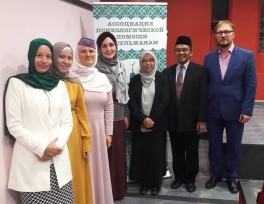 The Crimean regional office of the Association of psychological assistance to Muslims (APAM) under the Religious administration of Muslims of Crimea and the city of Sevastopol plans to hold a series of practical seminars and trainings aimed at resolving the psychological problems of the society. A Muslim from Dagestan Bariyat Mirzaalieva showed the third result in the Russian archery championship among athletes with locomotor disabilities in the city of Aleksin, Tula region. Mirzaalieva became the only medalist in the Dagestan team. This result is the best in the career of the archer in the championships of Russia. It should be noted that she repeatedly became the winner of these competitions. Mirzaalieva became one of the most successful athletes in Dagestan in archery even though she has been practicing this sport for several years. 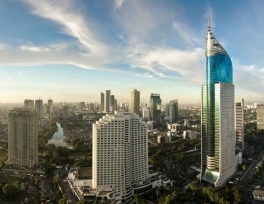 The Indonesian Embassy in Moscow hopes that the Indonesian Festival in Russian capital in August 2019 will gather 140 thousand visitors, reports Antaranews. “About 130 thousand people attended our festival last. This year we plan to gather 140 thousand visitors”, said Indonesian ambassador to the Russian Federation Mohamad Vahid Supriyadi. The festival will include a business forum, cultural program, performances and the exhibition of Indonesian products. 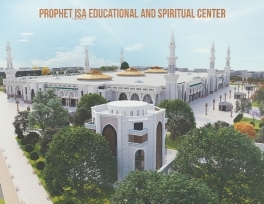 From day to day the Spiritual and educational center named after the Prophet Isa (peace be upon him) is becoming as a center for uniting people of different views, nationalities and confession under a common flag of cohesion and mutual respect. For this reason, from the very first day the Center's motto “Let's build a spiritual center together” serves as the most revealing appeal. 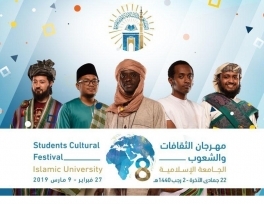 The Student Festival of the peoples of the World started in the city of Medina in Saudi Arabia on the 27 of February. More than 90 countries from all over the world take part in it. The Russian Federation at the festival is presented by the students of the Islamic University of Medina from Tatarstan. In particular they presented the books of the publishing house "Khuzur" of the Religious Muslim administration of Tatarstan. Indonesian Ambassador to the Russian Federation Vahid Supriyadi says that more Russians are ready to learn the Indonesian language, reports Antaranews Agency. “In the past, the Indonesian language was studied only in two Russian universities, but after the Indonesia Festival in Moscow the enthusiasm of the Russians to our language has rapidly grown”, said Supriyadi after meeting with Indonesia’s Minister of education and culture Muhadjir Effendi in Jakarta. On February 25 Mufti of Dagestan Republic sheikh Ahmad Afandi Abdulaev met with the famous expert and the reader of the Holy Book, Hafiz from Yemen Ibrahim Ahmad al-Zubadzhiy. 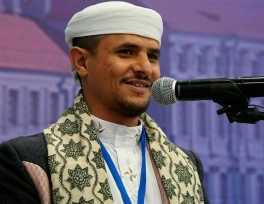 Ibrahim Ahmad al-Zubadzhiy came to Dagestan to hold the training courses for the Muslim religious leaders of the region. More than hundred participants took part in the mosque named "Iman" in the city of Chistopol in Tatarstan. All of them are the students of the honorable in the region teacher Amina Khanum Nurulova. The jury of the contest consisted of the teachers working in the Muslim religious organization of the city of Chistopol. All the participants had to recite one surah by heart and read the given text of the Quran. According to the results of the competition the jury determined 10 winners who were awarded with valuable gifts and diplomas. More than hundred athletes from all over the Russian Federation will take part in the Jiu-Jitsu tournament in memory of well-known Tatar Islamic scholar Shihabuddin Mardzhani in Kazan on February 23. The tournament will be held in different weight categories among the strongest athletes of Russia, both male and female, born in 2000 and older. This year the winners of the tournament will go to the hajj and umrah. 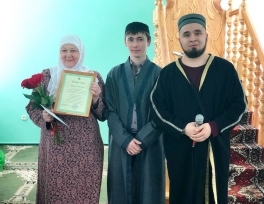 The final of the IV Republican religious contest "Young Muslim Preacher" was held the day before in the cathedral mosque of the city of Elabuga in Tatarstan. 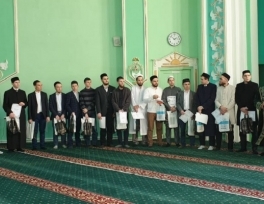 The contest was organized by the Muslim religious administration of the Republic to prepare young preachers, as well as to find talented tatar muslim speakers among young people, and develop their creative potential and improve their speaking skills in public speaking. More than 30 boys and girls aged 15 to 35 who are not practicing imams and teachers took part in the contest.